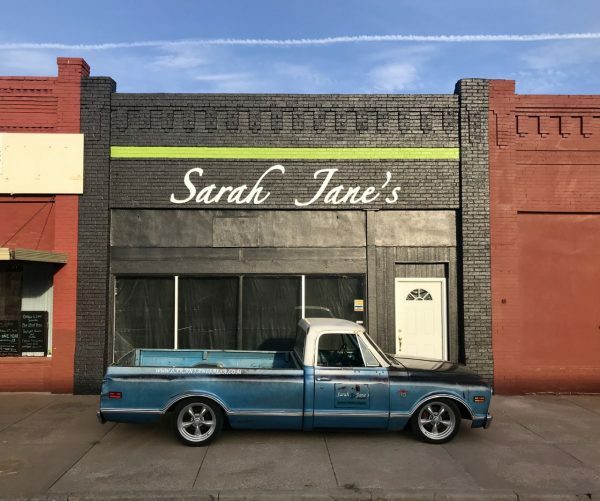 Get To Know… Sarah Jane’s LLC – Wichita By E.B. Shane & Sarah both worked at Cessna Aircraft Company before starting Sarah Jane’s in 2009. Shane for 20 years as an Aircraft Assembly & Installer and Sarah for 2 years as an Administrative Assistant. 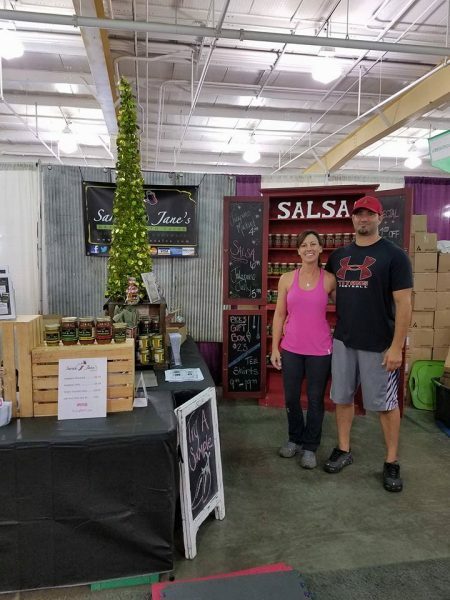 Shane retired from Cessna in 2017 to help Sarah run the growing business. Shane & Sarah reside in Conway Springs, Kansas and have two children, Regan 12 and Zane 8. Sarah Jane’s is located in Argonia, Kansas where Sarah Jane grew up and we create gourmet food products made with locally grown produce. In the beginning we grew it all in our backyard but that eventually became an unreasonable task. 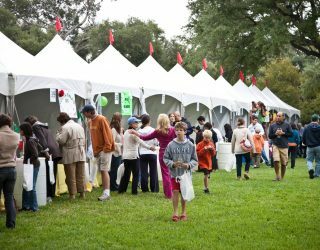 The solution was to source the homegrown produce from local growers we knew at the farmers’ market we attend. We now source local produce from growers located in Cheney, Conway Springs and Mayfield, Kansas. Our products are made in a registered, licensed and inspected kitchen with as much pride and quality as if each jar was going into our own pantry. We enjoy attending the farmers markets in the summer and delivering in our “salsa truck” a 1968 Chevy that is always a conversation starter. When you take that first bite of our gourmet creations you can enjoy with confidence knowing it is locally sourced and created with integrity. You are not only supporting local growers but also a couple of Kansas kids with inspirations of family, great food and living life without regrets. The desire to stay home and raise my children is the foundation that launched gardening, canning and eventually sharing my food creations. 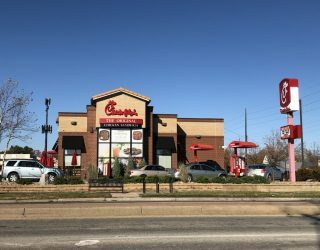 I was laid off from Cessna in 2009 with one small child and another on the way. After searching my work options I realized my weekly check would be paying for daycare and not much else. I decided to become a stay-at-home mom while continuing to contribute to our household income by means of planting a garden and raising our own food to reduce the grocery bill. Canning became a part of that to fill the pantry for winter. A lot of times I would have a surplus and shared with others. 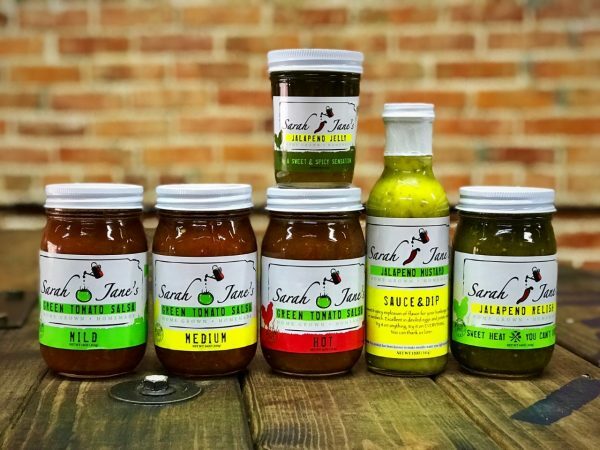 They wanted to pay me for the goodness I was giving them in jars, so the venture of Sarah Jane’s was born! 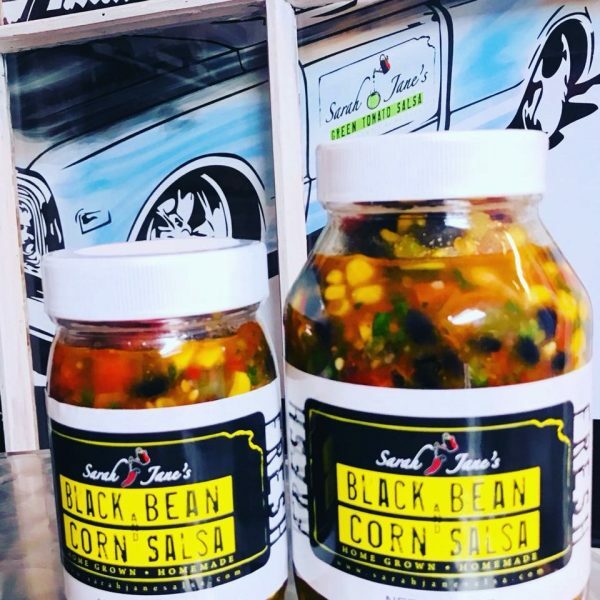 Jalapeno Mustard, Jalapeno Jelly, Jalapeno Relish, Green Tomato Salsa, Black Bean & Corn Salsa (seasonal), Gift Packs, Sarah Jane Swag.